This file will need to be re-applied if/when patches/updates are released and when the full game comes out to ensure full compatibility. This is due to the fact that some files which are removed when installing this file are automatically re-installed by Steam when official patches come out. 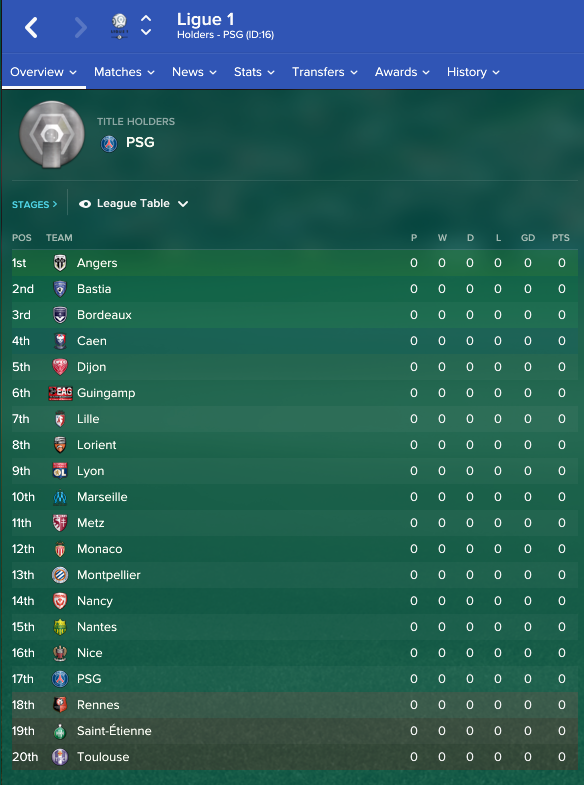 Some of these changes, ESPECIALLY THE CLUB NAMES, may not apply in FMT or in existing save-games. There's a workaround for that in the first post. 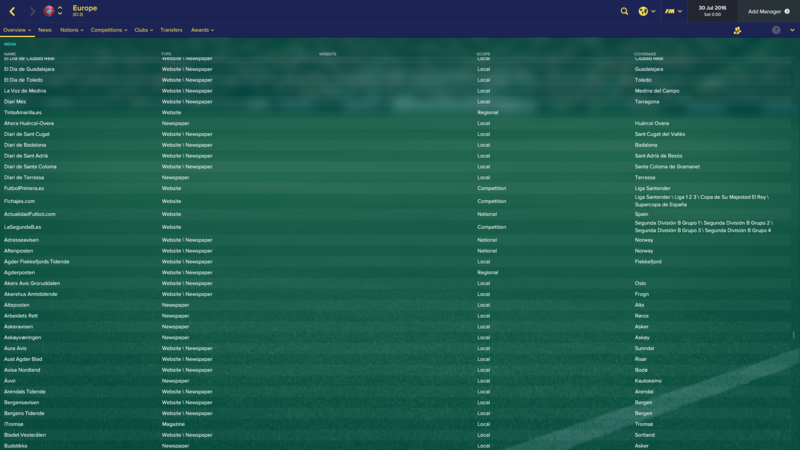 The sortitoutsi real names fix changes the instances of fake names in Football Manager 2017 to the proper, real life names for awards, cities, stadiums and competitions, in cases where the actual name is not licensed. It will also fix the fact that the German and Japanese National teams don't call up real players. These are fully save-game compatible. There is also a club name changes file, which changes the names of clubs in a way which ensures that any nicknames entered in the default database are retained. This file includes the proper names for German, Spanish, Portuguese, Italian and French clubs to circumvent licensing restrictions. 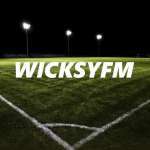 It also adds real-life media and journalists, encompassing most major footballing nations and continents. Finally, it includes a small file which corrects the 3-Letter competition names to correspond with any changes made in the lnc files. For all the files in this paragraph to work, however, you will need to start a new game. This should be what your editor data folder looks like now (with 5 files rather than 4 as in this screenshot. 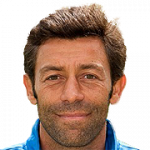 There may initially be a config.xml file in this folder and it can be safely overwritten; it is generated by FM every time the game starts. 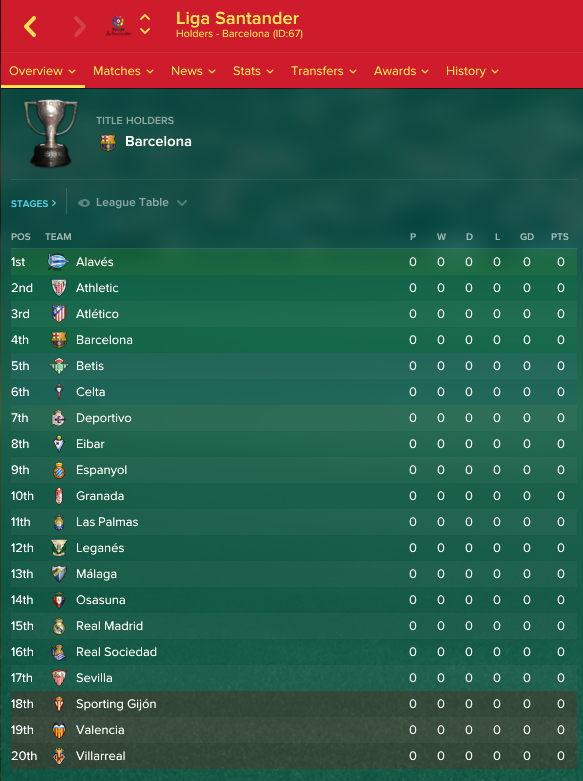 To make sure the files have been applied correctly, go to the Champions Cup and EURO Vase in your saved game, and they should be renamed to Champions League and Europa League respectively. 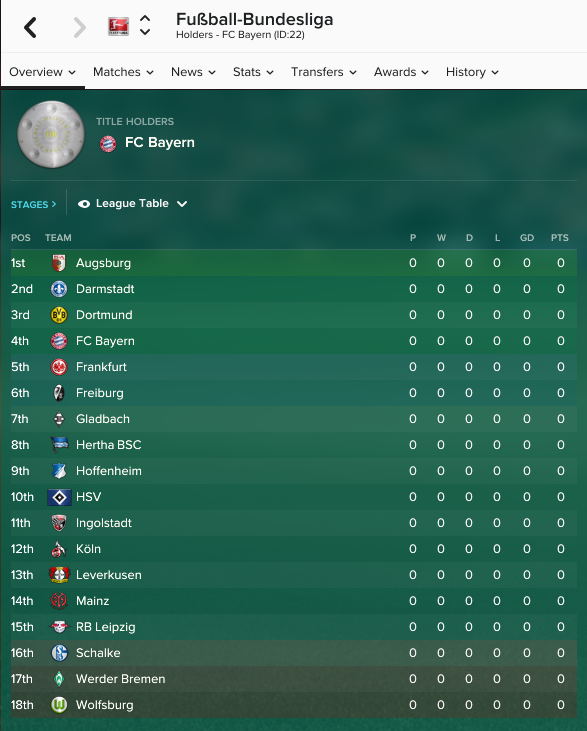 If you are in the middle of a save-game, German national teams will be populated in the next instance that players are called up, and not instantly. My bad man!! I am at work right now so I don't have the files on me at the moment but I will get you one when I get home! "#CLUB_LONG_NAME_CHANGE" 5341085 "ASC Niayes-Pikiné" ""
I think this is a typo. Thanks! (for example"CLUB_LONG_NAME_CHANGE" 915 "FC Bayern München" ""
Is making a custom database causing a problem possibly? Just checked and even with a quick start all the names have reverted to the original. Assume it's to do with the patch that came out yesterday and it's not allowing that particular fix anymore? Just thought, does it need to re downloaded and placed back in the folders, and then do the removal of hastags? Tried downloading again and it's not working, also changed them back to the defaults in the saved game I had which was going to be long term. Can you specify what's wrong with it? Ah right, Forgot to add to the 1710 file. Thanks for your help, and the fix. It works for new games (correct Brazilian club names), but not for previous games. 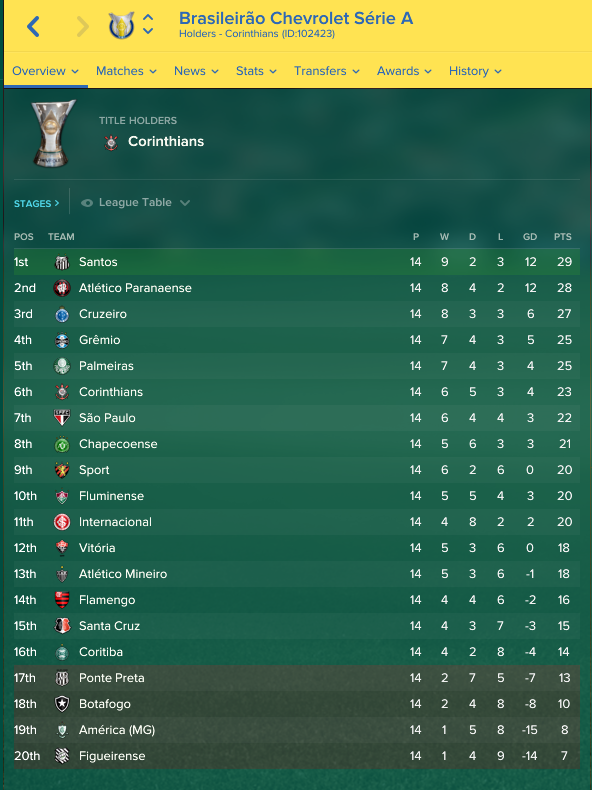 As I said, my current game *had* the correct Brazilian club names before patching it, but with 17.0.2 and also with the new 17.1, my save reverted to bogus 3-letter names. The first two characters are the wrong way around and must be switched. Thought it was obvious, sorry! Same for my game. 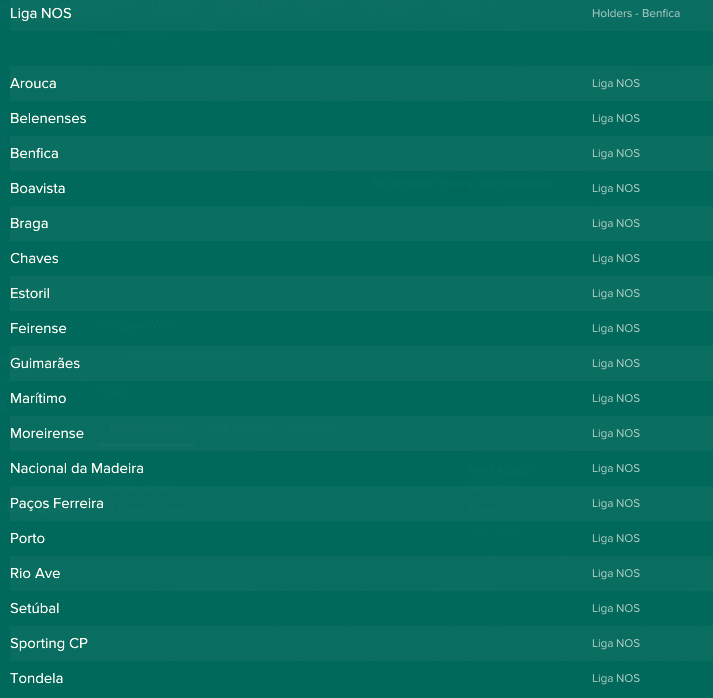 I was able to apply the fix to my save game, Champions League etc works, but the save game has the 3 letter Brazilian club names. New games however work fine. Anyway to fix current games Brazilian names? Or is only way to fix to restart, which begs the question, will every time SI update the game, we'll lose Brazilian club names the rest of that current save game? At this point, I have to get my hands on the full game so I can investigate the issue as it simply hasn't been the case for me so far in the beta. Hi mons, when do you plan on the update? When I get my hands on the editor and as soon as possible after the game is released. Loaded up the game today and in my save the fix has been reversed, will redownloading and reapplying fix this? Can you tell me what fixes have been reversed please? Inter Milan has the default name even after reapplying the fix. Just wanted to make you aware. Thanks! Awesome, can you change Shalke 04 to the proper name also? 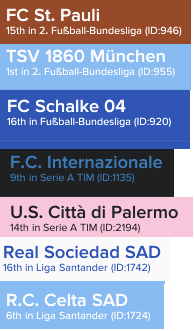 Hey mate is there a way I can manually edit INTER to Inter and change Schalkes name back to the proper name? or is it not possible without the editor? I think the losing of nicknames will probably bug the hell out of me....because i know they are gone lol.